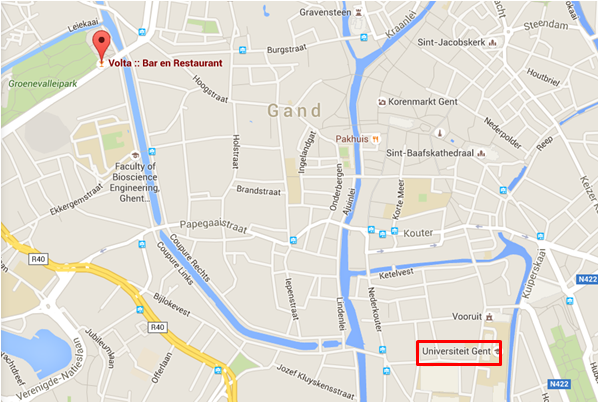 The workshop will take place in Ghent before the Indoor Air conference: http://www.indoorair2016.org/ghent/. 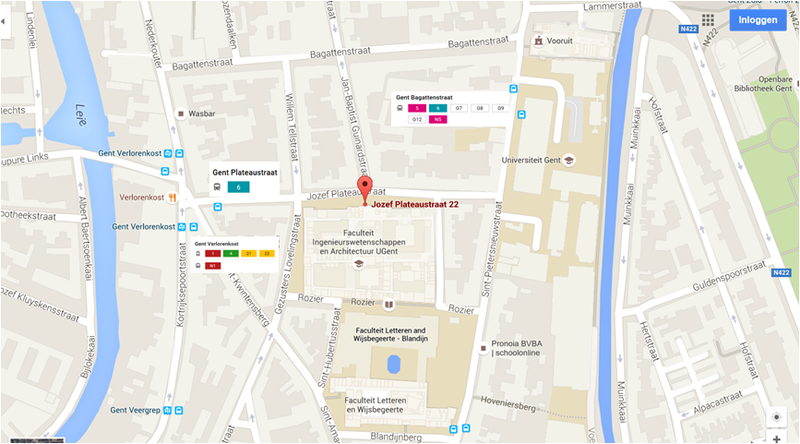 The information concerning the location of the workshop and the dinner can be downloaded here. 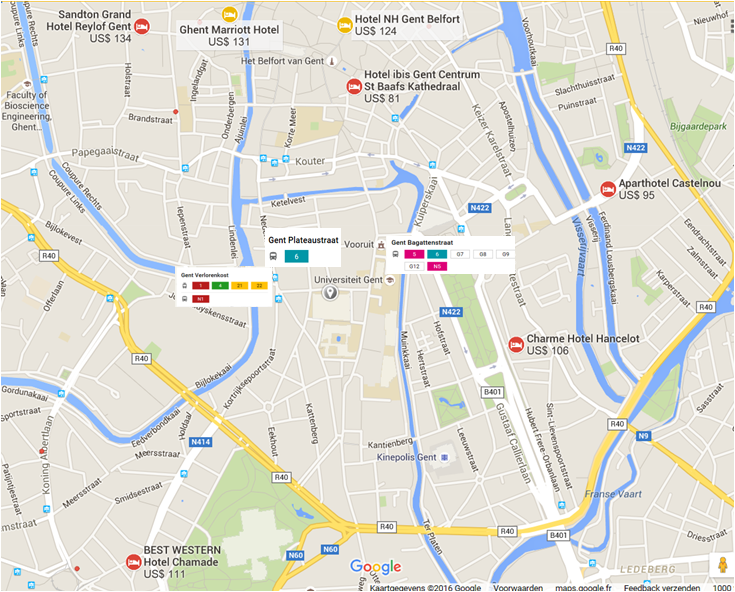 The workshop will take place in the Plateau Building, Jozef Plateaustraat 22, situated in the heart of Ghent University’ downtown campus. The campus is served by 3 bus stops and a tram stop, all on a direct line to the central train station. The talks will be in the Auditorium C (1st floor). (see map below ). 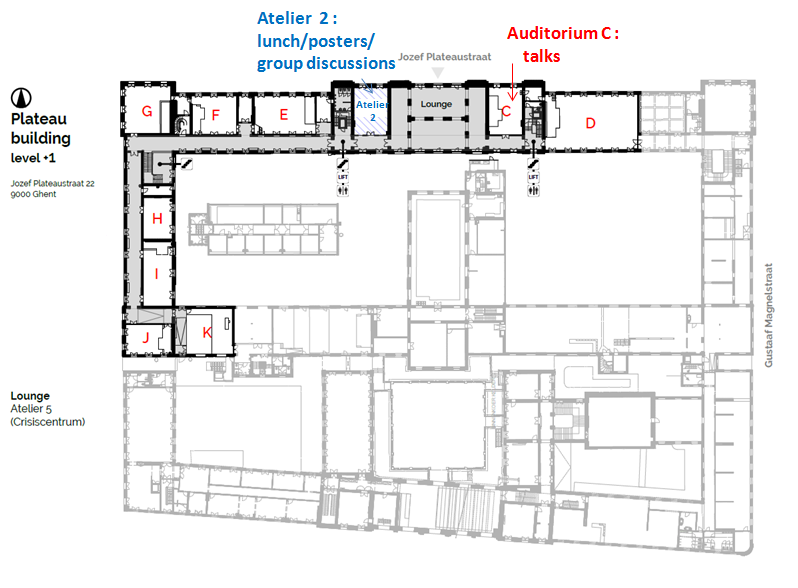 The posters/lunch/group discussions will be in the Atelier 2, next to the Auditorium C.
The dinner will be held in the Volta restaurant, Nieuwe Wandeling 2b, 9000 Ghent (t. 09/223 55 55, starting at 19:30, website).